A Broken Pipeline: Minority Students and the Pathway to the Ph.D. While underrepresented minorities represent a small percentage of GSAS—and those who are here often struggle to stay afloat—administrators and individual departments are actively seeking to bolster their numbers and experience at Harvard. When Ph.D. student Hugo Vega-Ramirez first considered dropping out of graduate school, his motivation to soldier on came from an unlikely place: a pig farm in West Virginia. Vega-Ramirez, the son of Mexican immigrants, traded his neuroscience lab for the open road. He decided to embark on a cross-country road trip with his boyfriend en route to his hometown in California, stopping at a network of farms and exchanging labor for food and shelter. The rigor of his second year in Harvard’s neuroscience doctoral program, coupled with immense feelings of isolation and homesickness, led him to take nine months off school. Vega-Ramirez said he was inspired by the farmers he met across the country who were devoted to their work and felt they were carrying out their calling. He returned to Harvard the following spring feeling refreshed and ready to research again in his lab. “My time off really helped me do away with all that noise in my head about feelings of incompetence, or not feeling like I really should be here, or that I was here because I’m Mexican,” Vega-Ramirez said. His experience is not uncommon for minority students seeking Ph.D.s. While a high percentage of all Ph.D. candidates at the national level drop out of graduate school, attrition rates among underrepresented minority students are generally even higher. Thirty-six percent of underrepresented minority students—defined by the Council of Graduate Schools, a graduate education research organization, as African-Americans, American Indians/Alaskan Natives, and Hispanics—drop out of their programs, while 20 percent have not completed their degree after seven years. 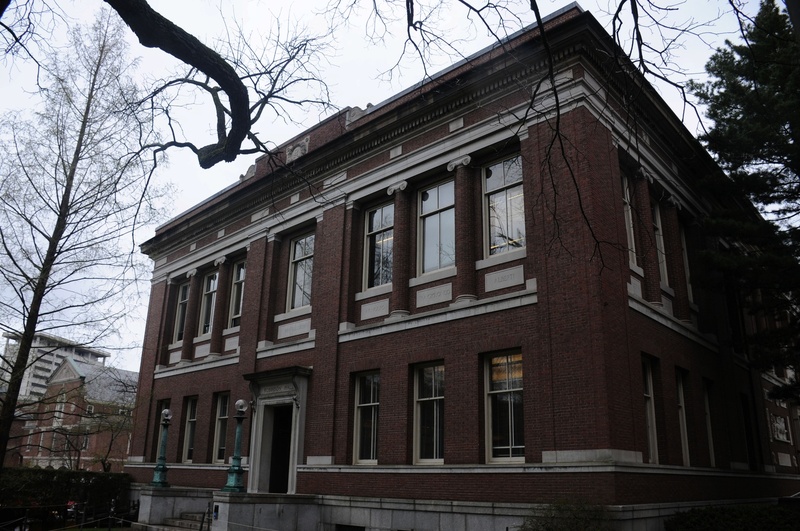 At Harvard’s Graduate School of Arts and Sciences, minority students are few in number. Eight percent of GSAS students are underrepresented minorities, according to the school’s Associate Dean for Academic Programs and Diversity Sheila Thomas. That figure includes African Americans, Mexican Americans and Puerto Ricans—a narrower definition of Hispanic—and American Indians/Alaskan Natives. Eleven percent of the newly-admitted GSAS candidates are underrepresented minorities, according to Thomas. But while underrepresented minorities represent a small percentage of GSAS—and those who are here often struggle to stay afloat—administrators and individual departments are actively seeking to bolster their numbers and experience at Harvard. After Vega-Ramirez moved from California to Cambridge to begin his first year at Harvard, he began missing home and felt overwhelmed with work, as though he could not keep up with the pace of both the city and the school. He withdrew from his peers and said he found it hard to form friendships that first year. Robinson Hall, pictured here, is home to the History Department. Many minority students see their first glimpse of life at GSAS at a visiting weekend hosted specifically for minority students. In fact, Ph.D. student Sergine Brutus, a Haitian immigrant, said that weekend alone “solidified” her decision to choose Harvard. She remembers spending time with passionate, minority students, and feeling like she belonged. But once students move to campus in the fall, that rosy picture of life as a graduate student can fade. Some minority students enrolled in Harvard’s doctoral programs said because they were few in number and seemed to lack a strong support system, they soon began grappling with the same feelings Vega-Ramirez experienced. Many students said they felt more comfortable reaching out to peers, rather than professors, to seek help, but said they would have found it easier to open up to a minority faculty member. Vega-Ramirez said that when he eventually reached out to his classmates for support, he found that some also shared his feelings of self-doubt and inadequacy, which he calls “imposter syndrome.” Such feelings can be amplified in minority students who, like Vega-Ramirez, are the first in their families to attend college, let alone graduate school. When Gonzalez struggled to find a community of Latino students her first year, she decided to create her own. She said she noticed that there was no minority organization for science students, and worked with Thomas, the dean for diversity, to restart the then-defunct Minority Biomedical Scientists of Harvard. GSAS has several other student-led cultural groups in Cambridge, including the W.E.B. Du Bois Society, an umbrella organization for all minority students that is also open to students of every background. Brown, who sits on the steering committee for the Du Bois Society, said although the group provides a much-needed space for minority students, she “wouldn’t say it’s a community.” She added leaders are attempting to rebrand the group, as its name often incorrectly signifies to some students that it is solely focused on African-American students. Similarly, students began organizing a GSAS Latinx Student Association last fall, and obtained funding from the Graduate Student Council and formal recognition this semester. Aside from cultural organizations and affinity groups, graduate students primarily find support within their department, cohort, or lab—which reflects the decentralized nature of GSAS. Psychology Ph.D. student Sa-kiera T. J. Hudson said she feels fortunate to have diverse labmates and an African-American adviser. Aside from race, Hudson said socioeconomic status also contributes to feelings of isolation. Some of Hudson’s peers have parents who help them pay rent or take care of other financial obligations, while she helps support her family back home, she said. “That is a burden that [Harvard] doesn’t ever see; your advisers don’t even see. It’s like, ‘well you’re just supposed to be doing your work,’ and I’m like, ‘I can’t do my work when I have to field calls from my family, or I’m giving up some of my stipend to give to my parents because they need the money,” Hudson said. Graduate school is not the first time underrepresented minority students experience feelings of pressure and isolation in an academic setting. These issues define what many academics call the “pipeline problem” whereby minority students progress through their educational career towards a tenure-track professorship. When assessing rates of attrition among minority graduate students, points of divergence early within the pipeline, such as deciding one’s field of focus or deliberating on post-college plans, can make a large difference. Dean for diversity Thomas said her own parents, who are Indian immigrants, had emphasized math and science education, and more importantly, the physician profession. Some parents and students don’t even know what a Ph.D. entails, students said. One way to combat problems with minority student attrition pursuing academic careers is to hire more underrepresented minority professors. Some students said the presence of minority faculty members allows them to imagine themselves potentially holding such a position. “One of the things they do is to model—subtly, silently—what it is to be a professor from an underrepresented minority group,” English Department director of graduate studies Daniel G. Donoghue said. Although the mere presence of minority professors is important, Donoghue said students and faculty need to establish a personal connection at the undergraduate level. “What it takes is an individual professor having a particular kind of relationship with a student, and to say ‘look this is really good, you should think about graduate school.’ Sometimes students need to hear that,” he said. Brown said it was important that she heard encouragement from a professor. In addition to personal faculty encouragement, programs across the country that aim to increase diversity in higher education can also open the door to graduate school. Many minority graduate students interviewed partook in such programs. GSAS administrators, too, recognize the importance of programs that repair problems with the pipeline. Several Harvard programs allow undergraduate students interested in the sciences to stay on campus for summer research, pairing them with Ph.D. students and professors for informal mentoring. Harvard offers a similar program for students interested in the humanities and social sciences. Additionally, GSAS created post-baccalaureate programs open to non-Harvard students as an effort to get more minority students to pursue a Ph.D.
As GSAS focuses more on ways to increase diversity within its Ph.D. programs, administrators and faculty increasingly place emphasis on holistic evaluation in the admissions process. Each of the 56 departments admits candidates separately. Many departments, including History and Philosophy, require two members of their admissions committees to read minority student applications, “so there’s no possibility that any minority candidate can be missed,” History Department chair David R. Armitage said. This year, of the 21 students the History Department accepted, five are underrepresented minorities, the highest in the last decade, Armitage said. He added that the quality of the incoming class is just as high as always, and that no “special reservations” were made for any candidates. 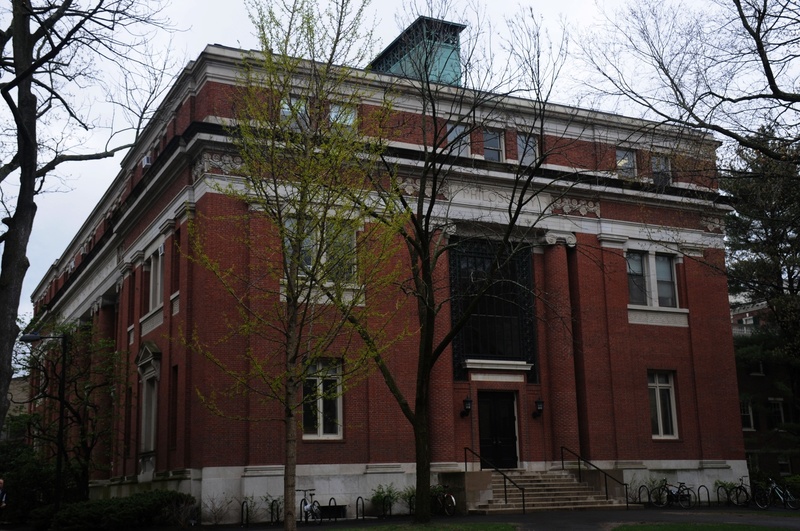 Emerson Hall, pictured here, is home to the Philosophy Department. Although the departments fully scrutinize every application, committees take extra care to avoid implicit biases when deliberating on minority student applications. But that pool is often very small, particularly within humanities fields, so departments have altered their admissions processes to expand the numbers. For the first time this admissions cycle, Donoghue worked with other humanities departments—namely African and African American Studies, American Studies, Comparative Literature, and Romance Languages— to share applications of underrepresented minorities who were not selected for the program to which they applied, but who may find a fit within a different humanities department. Donoghue said graduate students prompted the initiative by calling on faculty to increase the diversity in the English Department. Donoghue added that this process of sharing applications could be expanded to include non-minority students. Once the admissions cycle is complete, departments must also work to convince minority students to accept Harvard’s offer. This year, professors personally reached out to students to sell them on the English Department. For example, University professor Henry Louis Gates, Jr. called the three African-American students admitted to the English Department to offer his personal congratulations and encourage them to attend Harvard in the fall. All three accepted their offer. “That was a very crucial and even touching moment for these students, to have somebody with his stature to reach out to them,” Donoghue said. Still, some departments have found it difficult to enhance diversity. The Philosophy Department has not only struggled with attracting women. Hall said he considers Philosophy “hands down the worst of the humanities” for gender diversity. This year, Philosophy's first-year class of six students includes two underrepresented minority students—an African-American and a black student from England—which Hall called “unusual” for the department. “Who knows if this is just a local blip, but I think we like to think it’s partly because of recent efforts and outreach,” Hall said. Some students say they think Economics, a field that across the country generally struggles to attract minorities, is not an adequately diverse department. Eleven percent of admitted students this year were underrepresented minorities, compared to about 24 percent in the History Department. Economics Department chair David I. Laibson ’88 said he has had conversations with Mahzarin R. Banaji, a Psychology professor who studies the effect of implicit bias, about how to search broadly for faculty members. The department applies those conversations to its graduate admissions process, he said. After a strong pool of minority applicants are accepted and decide to come to Harvard, many recognize the impact their presence has on undergraduates considering an advanced degree. “Being a black student in Psychology, I’ve had research assistants come up to me and go like, ‘Hi! I want to do work with you. I think the work that you do is cool, but also, I don’t see too many black people as graduate students willing to take on RAs,” Hudson said. Hudson took it upon herself to hold weekly lab meetings with her minority research assistants, where she discusses graduate school and why they might want to pursue a Ph.D. Two of her former research assistants are now in Ph.D. programs at Cornell and Tufts, she said. “It’s kind of weird to think that I would be the first scientist in my family. But I also think it’s cool because then younger generations in my family can know it’s possible,” Brutus said.